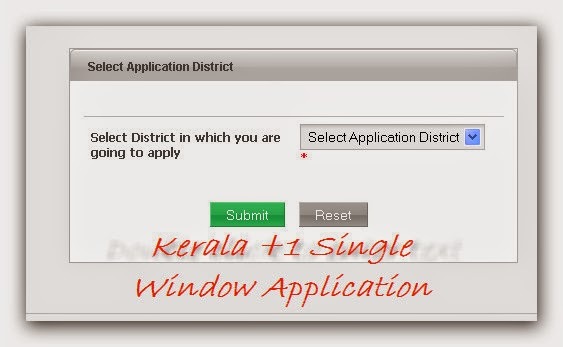 Kerala +1 Supplementary Allotment Result 2018 for the students who have applied for the vacancies in Higher Secondary(Plus one) seats in Government higher secondary schools using the Higher Secondary Centralized Allotment Process(HSCAP) 2018 Single Window Allotment Process. You can use the links provided below for the information regarding updation of your online application any many other important and useful processes. 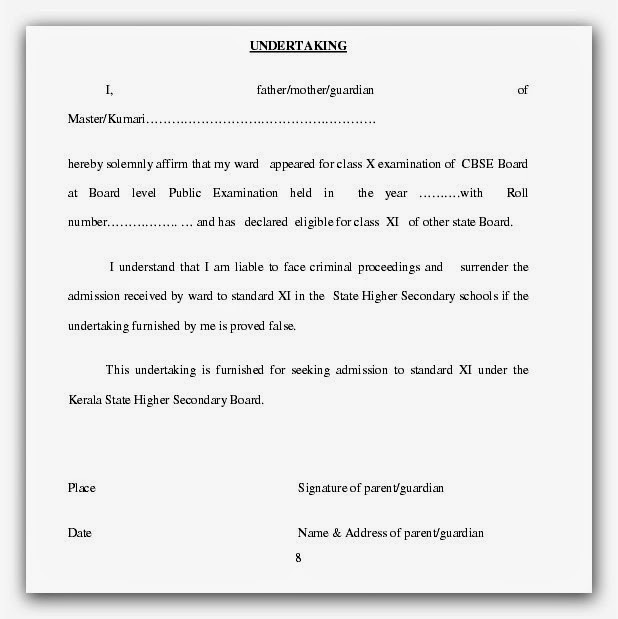 These links are targeted to the official website of Kerala government higher secondary examination department. So, you don't have to worry about anything, just click the link and go with the process. To know about the number of seats available in a school of your choice, click here. 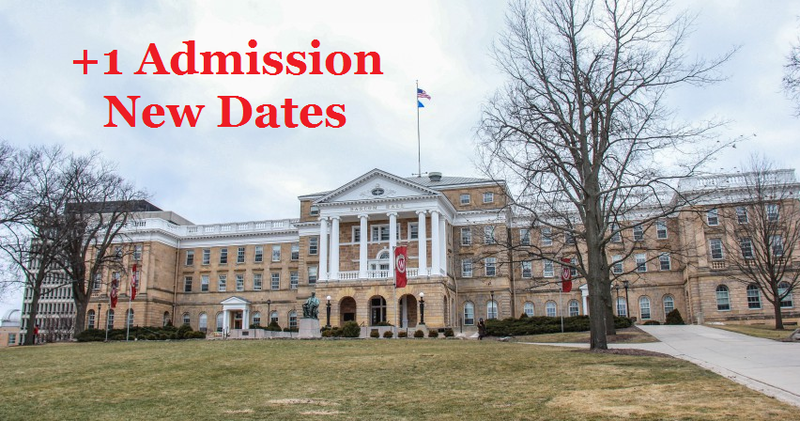 For viewing your online application, click here. For printing your online application, click here. Students manual for supplementary allotment related information, click here. You will get the facility to check for the status of your supplementary allotment application from this page from today on wards. ** We are presently updating this website, please check back later. Kerala Plus One Second Allotment Results 2018 under DHSE Merit quota is now declared online. 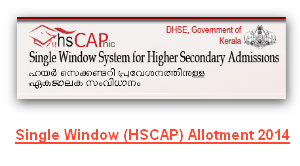 Students who have applied for the Higher Secondary Centralized Allotment Process (HSCAP) admission single window process for Plus one Higher secondary education in Kerala through online or offline can now check for their application selection result by using this website or the official website. പ്ലസ് ഓൺ പ്രവേശന ആദ്യ അലോട്മെന്റ് ലിസ്റ് പ്രസിദ്ധീകരിച്ചു. ഈ ലിസ്റ് പ്രകാരമുള്ള വിദ്യാർത്ഥി പ്രവേശനം ജൂൺ 12,13 തീയതികളിലായി നടക്കും. അലോട്മെന്റ് വിവരങ്ങൾ ഈ വെബ്സൈറ്റിലൂടെയോ ഒഫീഷ്യൽ വെബ്സൈറ്റ് ആയ hscap എന്ന സൈറ്റിലൂടെയോ ലഭിക്കും. അലോട്മെന്റ് ലഭിക്കുന്ന വിദ്യാര്ഥികളെല്ലാം നിർബന്ധമായി അലോട്മെന്റ് ലഭിക്കുന്ന സ്കൂളുകളിൽ നിന്നും 13ന് അഞ്ചു മണിക്ക് മുൻപായി പ്രവേശനം നേടണം. അലോട്മെന്റ് ലഭിച്ചിട്ടും താത്കാലിക പ്രവേശനം എടുക്കാത്ത വിദ്യാർത്ഥികളെ തുടർന്നുള്ള അല്ലോട്മെന്റുകളിൽ പരിഗണിക്കുകയില്ല. ആദ്യ അല്ലോട്മെന്റിൽ ഒന്നാമത്തെ ഓപ്ഷൻ ലഭിക്കുന്നവർക്ക് താത്കാലിക പ്രവേശനമോ സ്ഥിര പ്രവേശനമോ എടുക്കാവുന്നതാണ്. താത്കാലിക പ്രവേശനത്തിന് ഫീസ് അടക്കേണ്ടതില്ല. താത്കാലിക പ്രവേശനം നേടുന്നവർക്ക് ആവശ്യമെങ്കിൽ തിരന്നെടുത്ത ഏതാനും ഓപ്ഷനുകൾ മാത്രം റദ്ദാക്കുകയും ചെയ്യാം. ഇതിനുള്ള അപേക്ഷയും പ്രവേശനം നേടുന്ന സ്കൂളുകളിലാണ് നൽകേണ്ടത്. Kerala Plus One First Allotment Results will get declared on 12 June 2018. Students can now attain their first allotment results and details either from our site or use the official website. 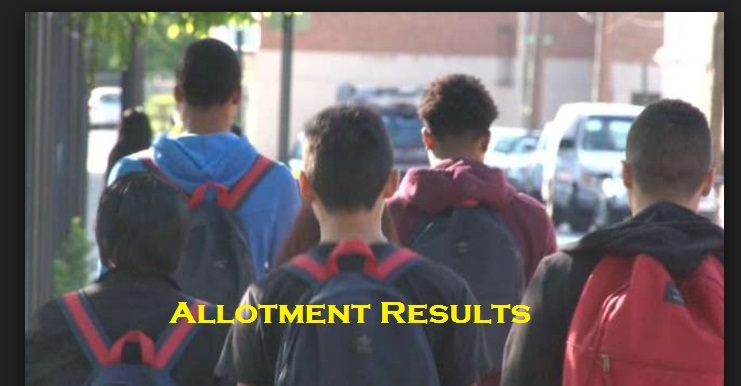 First allotment results are official, you can print a copy of the allotment result if you get allotment in any schools, and submit it at the school where you have got admission to. Update: +1 trial allotment result declared!! Check your result now. 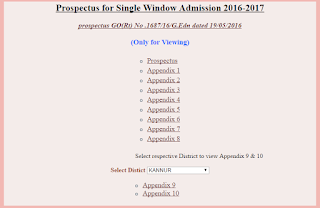 Kerala +1 Trial Allotment Result 2018 will declare on this website, and you can quickly check your Plus 1 Trial Allotment result from this page by just providing your application number. 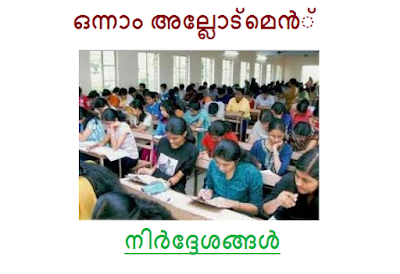 The first allotment is considered as the first valid allocation for joining a higher secondary school for the students who have passed SSLC or equivalent examination. As you might have already noticed, the dates of +1 allotment result got changed and it got postponed to the following dates mentioned below this post. I have mentioned the result dates sorted by type of result and expected result declaration date. According to the official report, this dates will not be changed unless any unexpected problems occur to the servers or with the department. So, students can note down the time and check back with the website for finding your result online. You can use the date schedule mentioned above for finding the allotment results and for other information regarding the plus one admission process 2018. You can also contact us using the contact numbers and mail address mention on our contact page. You can find more information regarding the plus one admission by visiting the official website of Kerala education department. 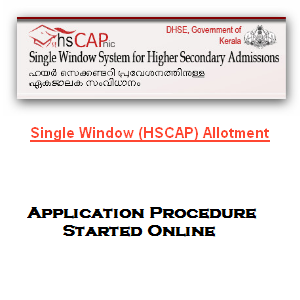 Updated: Online applications for the students who have qualified the SSLC/Class 10 equivalent examination and who are interested in studying for Plus 1 higher secondary class has started receiving at the official website of HSCAP. You can visit the official site for more information, and we'll write a new post explaining the complete procedure for applying plus one allotment (single window process). 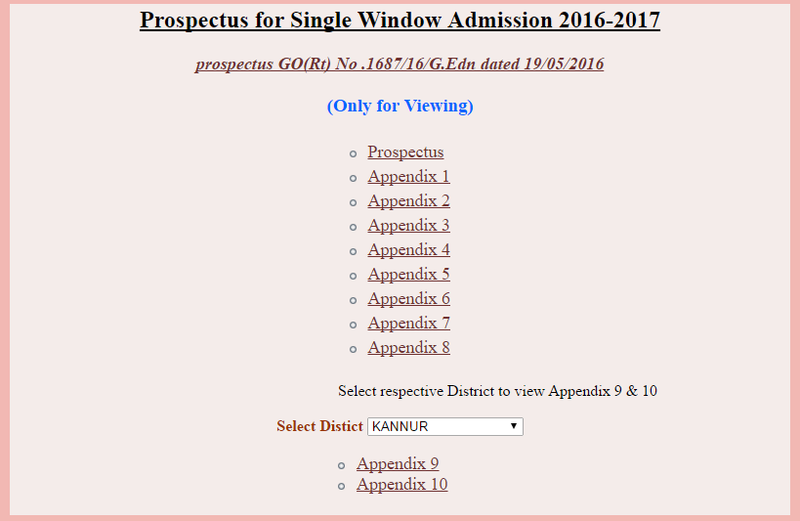 Thiruvananthapuram: Students can apply for higher secondary single window allotment process from May 12 onward through online. 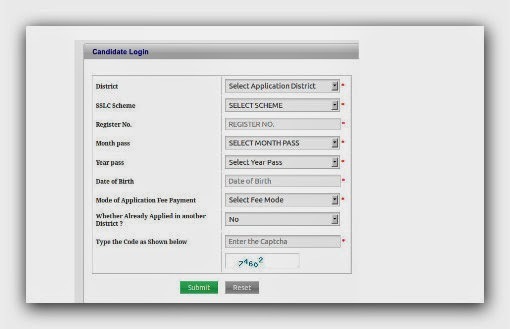 The first allotment will get published on 13th of June, before that there will be a trial distribution process, by using it students can determine whether they have applied for the allotment process correctly or not if there is any correction to be made they can correct it via online. Plus 1 class will start on June 18 if all things go according to our plan. The class will start from this date itself on the newly allotted plus 1 schools in Kerala: as said by our education minister C. Raveendranath.